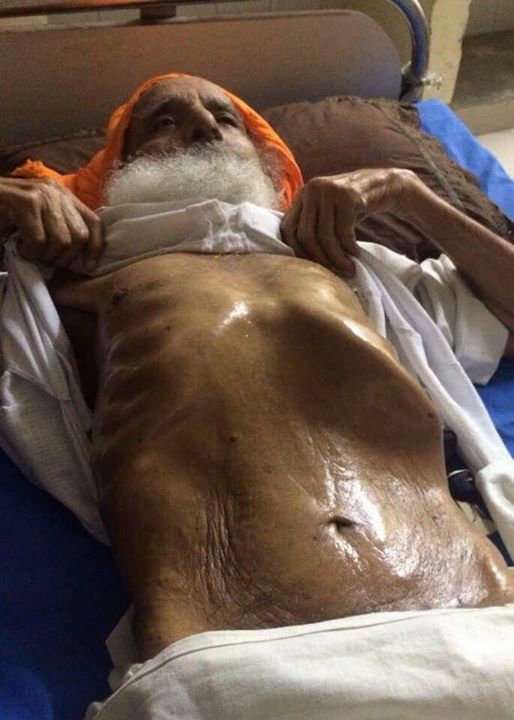 Bapu Surat Singh ji was unable to sleep the entire night as doctors continued to monitor him throughout the night. He fell asleep at 5 AM this morning. He has not taken any treatment or water. Despite the hardships, Bapu Ji is in chardi kala and firm on his demand. He appealed to Sikh Sangat across Punjab to maintain peace and remain vigilant. Bapu ji has insisted that the sangharsh needs to remain peaceful until the end. Sangat ji, please continue doing Gurbani jaap for release of our brothers who are languishing in jails. Please go to your local Gurdwaras and do ardas.